Escape to our lovely White Hut Chapel or one of our 8 luxury 2 bedroom cabins in a bush setting surrounded by vineyards, for peace & relaxation in your home away from home. Only minutes away from Clare's attractions, our cabins are cosy and private, comfortably accommodating four adults or a family of six (maximum 4 adults) with pampered pets welcomed. Our chapel accommodates 2. We are family friendly with playground and games room. 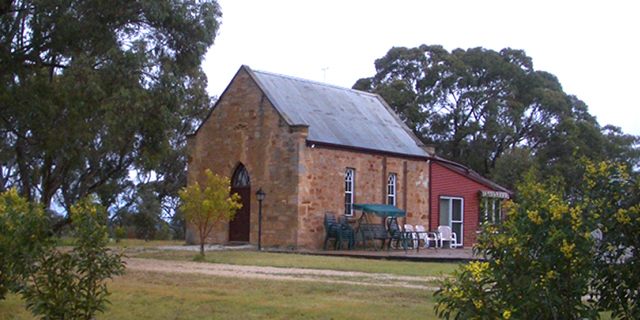 Book in for 4 nights for relaxing getaway in the most beautiful valley in South Australia. Award-winning wineries, The Riesling Trail and gourmet produce await you.